Perfect addition to your haunted house scene or haunted display! 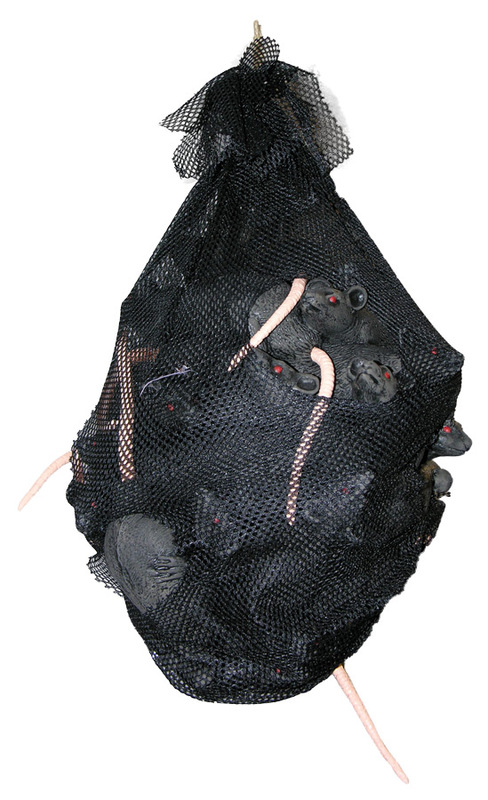 Black net bag with a bundle of black rats with red eyes and pink tails. Hang this Bag of Rats anywhere for a creepy effect!